This Essential Buyer's Guide leads you through the process of buying an Imp or one of its vaeriants from whether this is the right car for you, what it's like to live with and what it will cost you to run, to which model is best for you and what you should be paying for it.Having helped you decide these factors, this guide then takes you through the buying process. It explains what equipment you'll need when you go to view a car and shows you how to quickly determine whether to look at a particular car in more detail or to just simply walk away.A comprehensive and thorough evaluation section, with a points scoring system, lets you fully assess a prospective purchase and detailed illustrations show exactly what to look for. 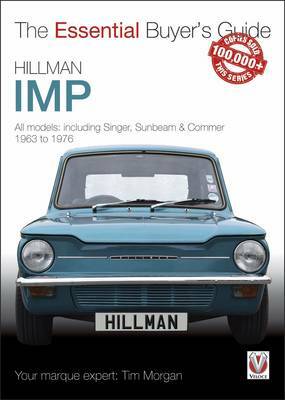 With advice on paperwork, buying at auctions and thorough and clear advice on restoration, every aspect of sourcing your car is covered.Having led you to your perfect car, the Guide goes yet further to give you all the contact information you'll ever need to get involved with the Imp-owning community allowing you to make the most of your new pride and joy!